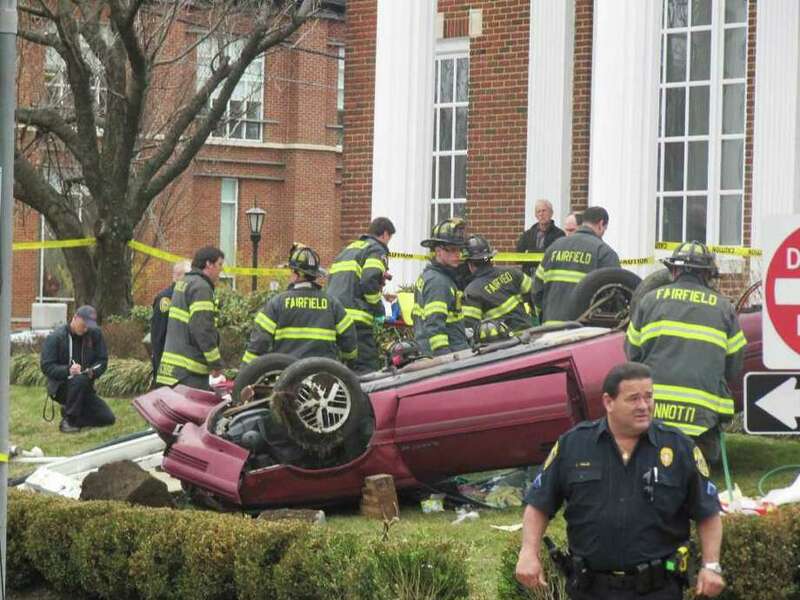 Firefighters attend to an elderly woman around noon on Monday after her car rolled over onto the Chase Bank property at Post Road and Unquowa Road. She had to be extricated from her vehicle. An elderly woman's car rolled over onto the Chase Bank property at Post Road and Unquowa Road. Pictured is some of the damage that was caused.